Green Whiskers is proud to have been featured in media stories that share our vision of a sustainable way to pamper our pets, and the support we provide our community. On this five-minute live segment we demonstrated how our earth-friendly system uses 90% less water than traditional grooming methods. We also promoted our participation the following day at “Pinot & Pooches,” where we pampered dogs while their owners sipped the latest vintages at one of Oregon’s finest wineries, Ponzi Vineyards. 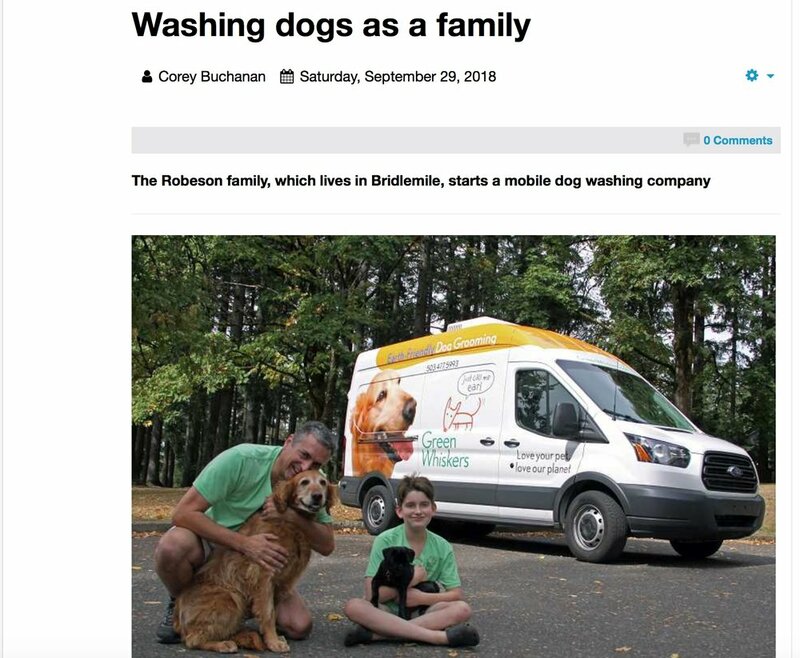 This feature story highlighted the father-son bond that we celebrate with Green Whiskers, including Milo Robeson’s towel service that he created to learn business skills while keeping our pampered pooches dry. Dogs in the photo are Sally (Golden Retriever) and Charlotte (Pug). 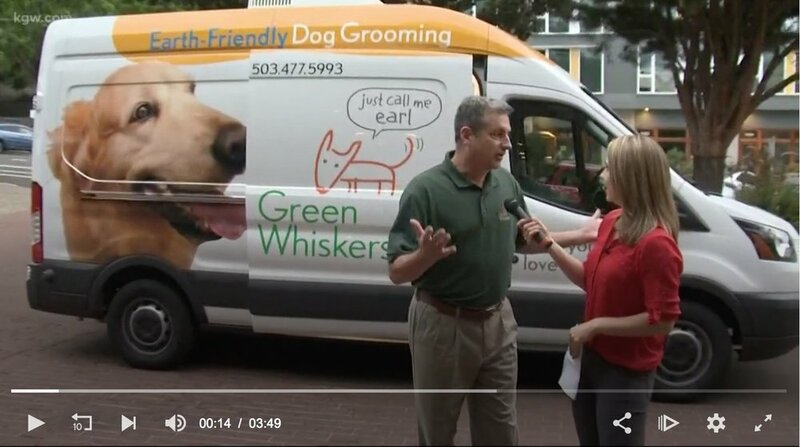 In this feature called “The Pitch,” writer Malia Spencer chronicled how Green Whiskers founder Greg Robeson used his 30 years of experience in marketing and branding to rethink how dog grooming is done. It also highlighted his decades of work helping to promote the culinary destination that Oregon has become.